US President Donald Trump's special envoy to the Middle East Jason Greenblatt condemned the terror attack on Tuesday night near the Samaria community of Havat Gilad, in which Rabbi Raziel Shevach was murdered. 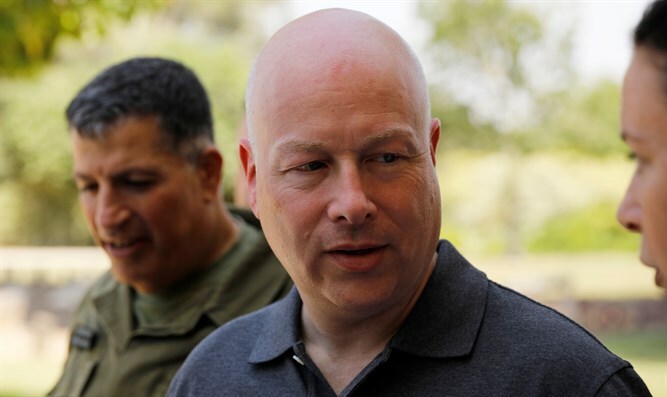 Greenblatt placed blame for the attack squarely on “Palestinian terrorists,” and said that Palestinian Arab glorification of murder was hindering peace with Israel. Earlier, US Ambassador to Israel David Friedman similarly tweeted that the Palestinian Arabs were to blame for lack of peace with Israel. In response, the PA accused Friedman of being “biased” in favor of Israel. “The American ambassador in Tel Aviv is known for his selective positions, biased from the outset, which reflect a positive disposition towards the occupation and the settlements and alienation from the problems of our Palestinian nation and our just and legitimate national rights,” it said in a statement.